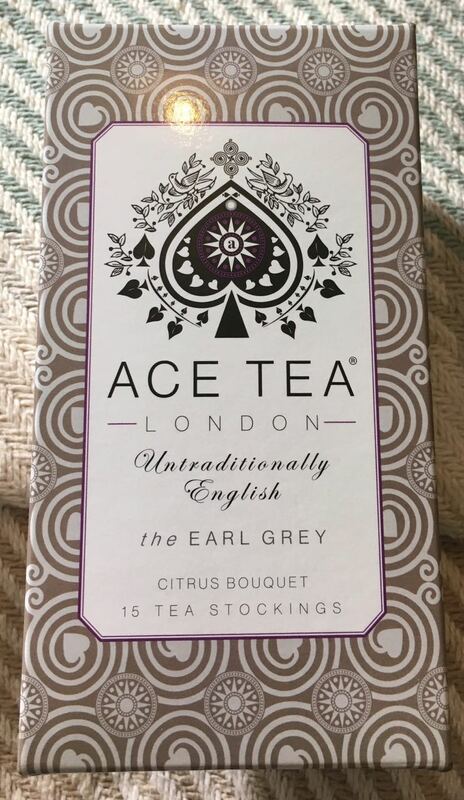 Ace Tea have blended their Sri Lankan black tea with Oil of Bergamot to create the traditional tea flavour Earl Grey, with added Lemon Essence, and they've also put in orange and lemon peel, and cornflowers. I have to say that this is a very smooth combination of flavours. Of course the Bergamot springs to the fore on first taste, but there are floral undertones mixed with a spritely citrus zest. This is a very tasty and refreshing Earl Grey, especially after a time of digging around in the garden followed by drinking it down whilst watching the Mixed Doubles at Wimbledon. This is a big worry for me. I always hate anything flavoured with roses. From Turkish Delight to chocolate rose creams, rose water to rose lemonade; I can't stand any of them! This Lady Rose is their usual Sri Lankan black tea blended with Rose Petals and Rose Essence. Worst nightmare. At least I really enjoyed the Earl Grey! … Anyway, opening the box of 15 tea stockings I tentatively smelt the first teabag. Yep, roses with a hint of black tea! Oh, boy… On taste it doesn't taste all that bad actually! If you like rose flavoured things, you'll be well in here, but also if you like floral drinks too. I do like floral beers, as some hops can be quite floral in flavour. So, this actually made me wonder what rose beer might taste like. Madness, I know! 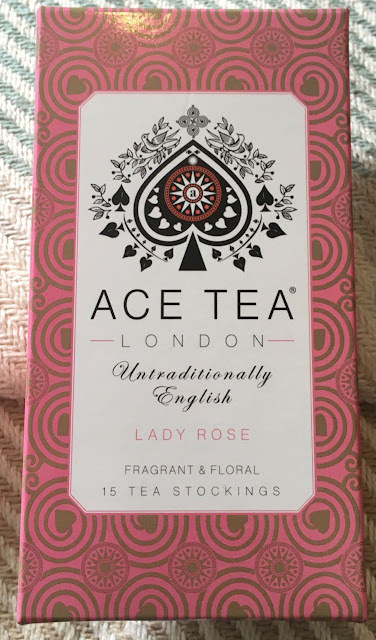 Anyway… there is a stronger flavour of black tea to this Lady Rose, but the rose flavouring is by no means secondary in strength as it is springs to the fore after a split second of black tea and then it bashed at my tastebuds right through to the aftertaste. Having said that, and this is the weird masochistic part, I actually weirdly enjoyed it, and from that strange fact I will finish the box of this Lady Rose.